 Choose Erie works with your company to review your business needs and recommend available financing options utilizing local, state and federal programs and grant opportunities.  Our team of economic development professionals will work with your company to provide the best pathway to prosperity as you explore doing business in Erie County. The Erie government, business and non-profit communities have come together around the common goal of promoting Erie’s Opportunity Zones, designated as Pennsylvania’s Flagship Opportunity Zone.  The Pennsylvania Flagship Opportunity Zone Development Company was created under the umbrella of the Erie Regional Chamber and Growth Partnership to focus economic development and promotion efforts within the Opportunity Zones. The Development Company will, on a non-fund proprietary basis: quantify deal flow and availability of local capital; identify projects, local investors, funds, and partner investment; and promote the Zone, eligible projects, entrepreneurs, investors, and funds. The Flagship Opportunity Zone includes the Erie Innovation District, the hospital district, the downtown, industrial parks, lakefront property, and residential areas that are often overlaid with other economic development zones, which are prime for investment. The $7 million Enterprise Zone Revolving Loan Fund (EZRLF) provides low-interest financing to creditworthy businesses that contribute significantly to the area’s economy land and building acquisition, construction and renovations, machinery and equipment purchases, and other expansion projects that result in the creation or retention of jobs that qualify for funding. EZRLF funding fills the gap between bank financing and an organization’s equity. Low-interest gap financing available for infrastructure projects include: underground utilities, paving, lighting, fencing, water/sewer improvements, and gas lines. Similar to EZRLF, the City of Erie Business Development Fund can support projects outside of traditional manufacturing. The Flagship Fund is the City of Erie’s first-ever Micro-Grant program for small businesses. It was established to provide financial assistance to support market-ready products and services that enhance the City of Erie’s reputation for innovation and creativity; contribute to a thriving, sustainable business culture; and improve the quality of life for residents of the City of Erie. Erie County Economic Development is a full-service development team that provides low-interest financing, real estate services, and grant assistance to businesses and non-profit organizations with the ultimate goal of fostering investment and employment in the Erie Region. RENAISSANCE BLOCK PROGRAM Part of the Neighborhood Impact Investing strategy through ECGRA, The Renaissance Block program was created in 2018 and designed to reinvigorate neighborhoods and main corridors, boost buy-local efforts, and combat blight in Erie County. The Renaissance Block Program is a matching program that helps finance eligible exterior repairs, permanent improvements, and streetscapes. Funds can also be used to improve publicly owned property that is targeted to improve the block's visual appearance. The program, in its first year, awarded nearly $500,000 to eleven neighborhood groups in Erie County. ANCHOR BUILDING PROGRAM The Anchor Building Grant Program, created in 2018, is an adaptive reuse funding program designed to strengthen a community, neighborhood, or commercial district by redeveloping, enhancing, and preserving an underutilized or vacant building that has the potential to serve as a catalyst for greater investment and commercial or social activity. ECGRA funding serves as a vital part of the financing structure to bridge the gap, boost the real estate market, assist in developing equity, and enhance the quality of place. The program, in its first year, awarded nearly $500,000 for five catalytic projects in Erie County.